At IBC 2014 we launched a brand new proof-of-concept designed to give consumers access to the content they want, when they want. We thought about the current challenges viewers face with content discovery and content recommendations and applied it to it an all-in-one adaptive content ecosystem called Piksel Mosaic. We knew we were onto something before we got to the show, but we were overwhelmed by the positive reactions, from content owners, aggregators, distributors, press, analysts, and everyone in between. It seemed almost everyone saw how our intuitive tile based interface could take the pain out of an increasingly fragmented multi-screen world. 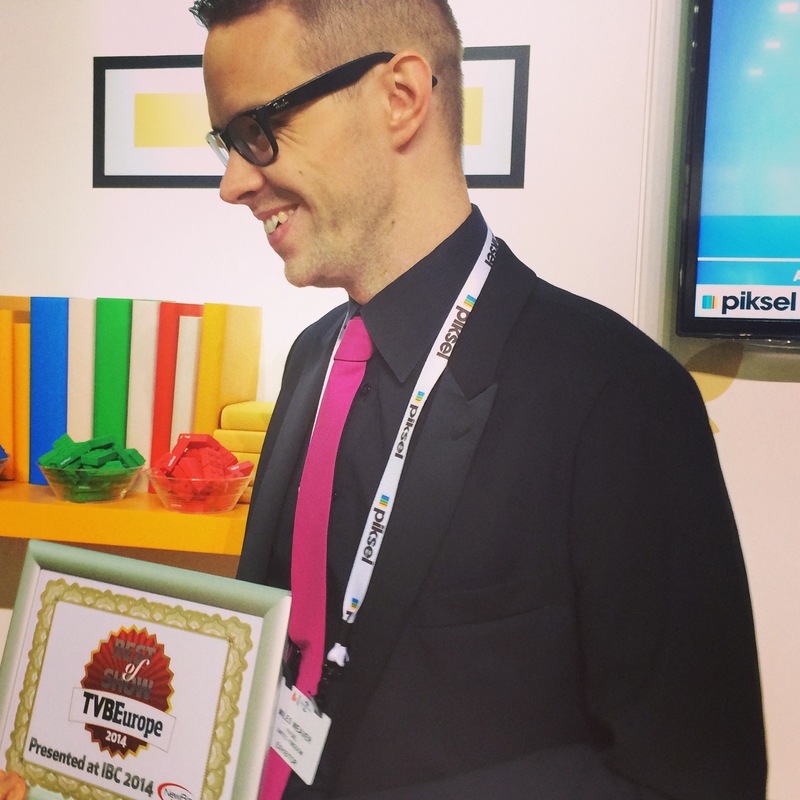 In fact, so too did the judges of NewBay Media’s TVBEurope’s Best of Show awards and we’re very proud to announce that Piksel Mosaic was one of the winners. Piksel Mosaic is a revolutionary new way of providing consumers with the right content choices throughout the day, regardless of the device they are using. We believe that hyper-personalization is the next evolution in multi-screen content delivery, and are proud to have been recognized today for our innovation in this area, based on our experience designing user-centric content experiences for nearly 20 years. Interested in seeing Piksel Mosaic for yourself?